Camp for €16,- a night at Camping Le Port de Lacombe - Escapade in low season with CampingCard ACSI. 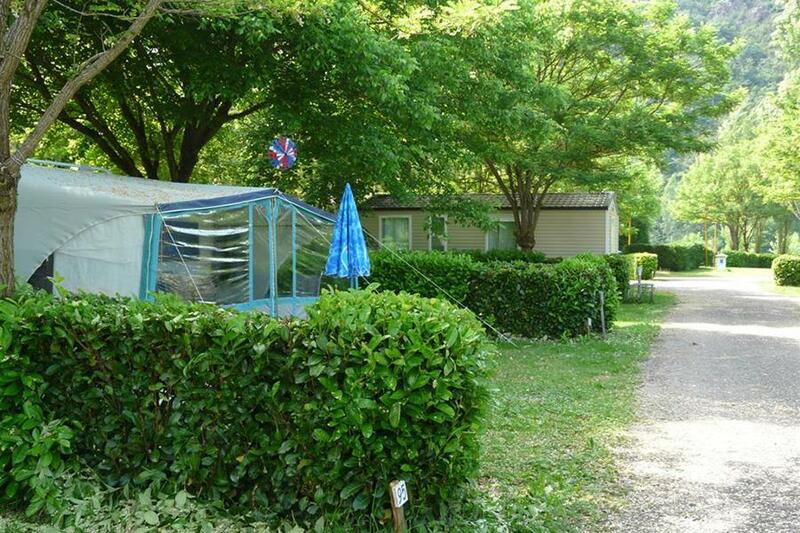 Camping Le Port de Lacombe - Escapade, located in Flagnac (Aveyron), is a campsite with 97 touring pitches. With your CampingCard ACSI you can camp on one of the pitches during the following periods: 01-04-2019 - 14-07-2019 and 01-09-2019 - 29-09-2019. High hedges separate the shady pitches on this level campsite. The Lot flows slowly along it. A spacious terrace with a bar. Just outside the campsite there is a heated municipal swimming pool, free of charge for campsite guests. Nice location - BUT - Site was a shambles, very untidy, grass not cut on pitches (some weeds knee high) Hedges still being cut making high level of noise. Swimming pool not open. Got very little sleep. A large party of young boys were using some chalets. They ran about the site, banging doors and shouting and screaming until well after 2 am. The noise began again at 7 a.m. No adult accompanying them checked their activity. The site management did nothing. Poor. Would you like to book Camping Le Port de Lacombe - Escapade or request more information? You can do both using the information below or by visiting the campsite's website. Follow the campsite signs from the D963 between Aurillac and Decazeville close to Flagnac. CampingCard ACSI will send your information request to "Camping Le Port de Lacombe - Escapade".